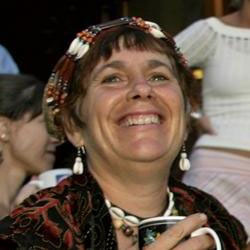 Thérèse Yakshi Charvet is the owner/director of Sacred Groves, a small intentional community and a place where ceremonies, circles and classes are offered. Nearly 60 years old now, she runs a Women’s Mysteries School, offering rituals and circles that empower and connect women with the “blood mysteries” of being a woman, the teachings of the grandmothers—inner and outer, ancient and modern. In addition to her “Women’s Mysteries” work, she offers sweatlodges, season’s change rituals, grief rituals, drumming and dancing events, and Compassionate Listening trainings to both men and women. 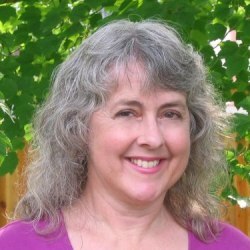 Mary Kathleen Rose, author of Comfort Touch DVD, is a certified massage therapist with over twenty-five years of experience in the holistic health field. Mary developed Comfort Touch(R), a nurturing style of acupressure, in response to the special needs of people in medical settings. It is safe and appropriate for a broad range of people including the elderly and the chronically and terminally ill. It can be practiced in a wide variety of settings, including hospitals, hospices, skilled nursing facilities, home-care and rehabilitation settings. Loba has been a co-director of the Animá Lifeways & Herbal School for a decade and a half now. As a young woman she literally followed her dreams home to New Mexico, where she found her true self, her power and her calling. Dedicated to the furthering of traditional life and foodways, Loba teaches a variety of hands-on rewilding and homesteading skills as diverse as wild foods preservation, backwoods gourmet cuisine, firecraft, water collection and management as well as sensory immersion in the land. Martina Hoffmann, painter and sculptress, lives and works in the US. The German-born artist spent her childhood in Cameroon, West Africa and studied art at the Johann Wolfgang Goethe University in Frankfurt, Germany. Her early work consists of portraiture and a series of pregnant nudes.They are part of the large ‘Goddess Triangle’, a 20’ x 10’ multi-media installation piece, consisting of painted panels, sculptural elements as well as sound. In her more recent paintings Hoffmann’s style has shifted towards Transpersonal Realism and she has become a translator of visions. David LaLuzerne calls himself an "herbal pharmacist." That's because before he started learning about herbs, he worked as a licensed pharmacist in Wisconsin. After spending the 70's and 80's as a pharmacist, he incorporated Green Earth Herbs, an herb shop in Madison into his practice. 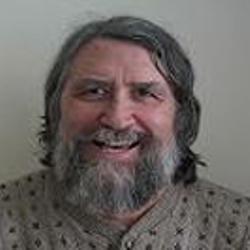 As a “reformed” pharmacist, working in his herb and vitamin shop, David then became a resource in the community for information about using herbs safely and effectively – an herbal pharmacist if you will.